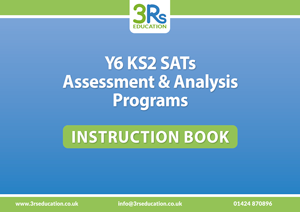 Our Assessment and Analysis Programs have been created to support teachers who use past SATs papers to prepare their pupils for Y6 SATs. 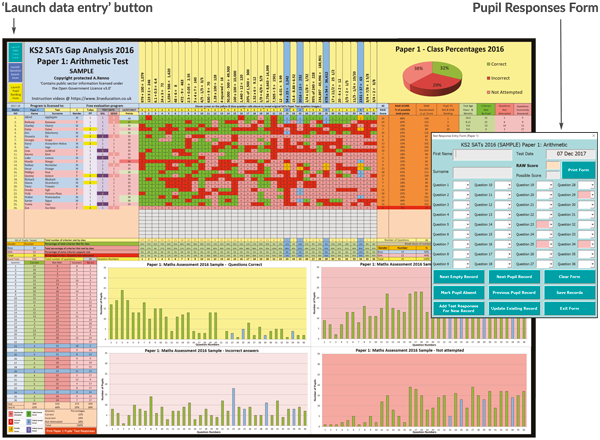 Entering pupils’ details and data from practice SATs test papers is quick and easy using the purpose designed entry screens and automatically generates a range of performance and gap analyses from both an individual pupil perspective as well as a whole class perspective, which can be interpreted at a glance and printed at the press of a button. 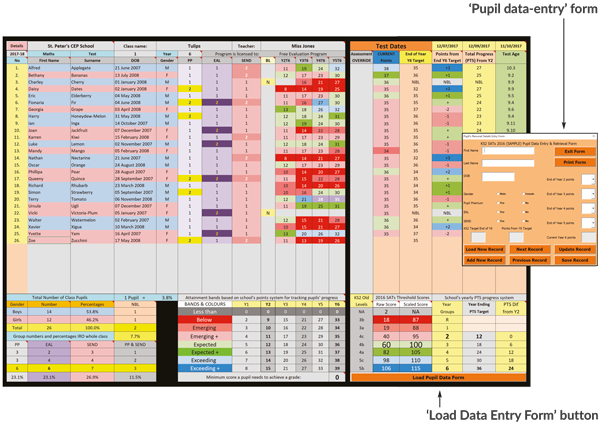 1 On the ‘Data File Worksheet’ click on the ‘Load Data Entry Form’ button and then enter each pupil’s personal details. 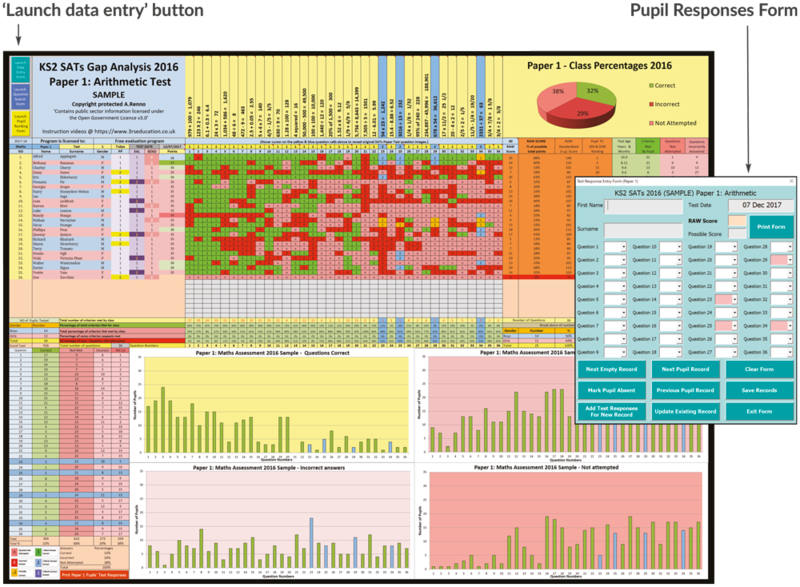 2 On the ‘Gap Analysis Worksheet’ click on the ‘Launch Data Entry’ button and then the ‘Next Empty Record’ button and use the drop-down menus to enter the pupil’s test scores. … or click the button below to buy Programs for any of the other Maths, Reading or SpaG SATs papers for the incredibly low price of £19.99 each. 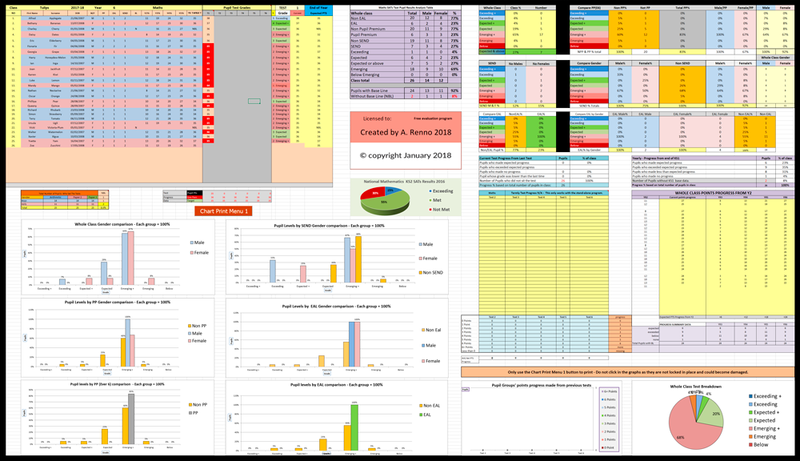 (The FREE Example program is the Maths Program with sample data already input and the FREE Maths, Reading and SPaG programs are blank and ready to use.) 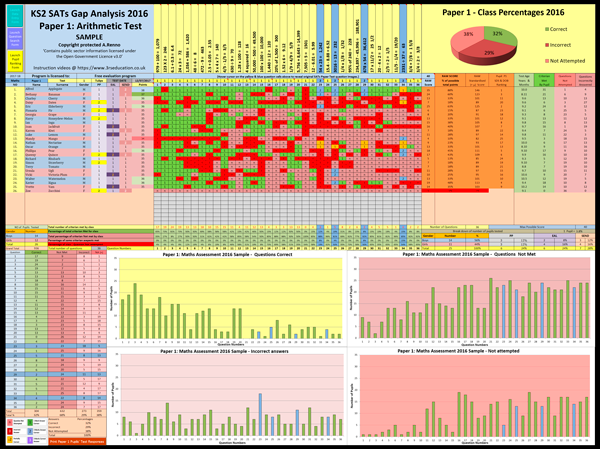 Quick links for downloading the relevant DoE's KS2 SATs tests and materials for the Programs, are found under the 'Resources' tab above. 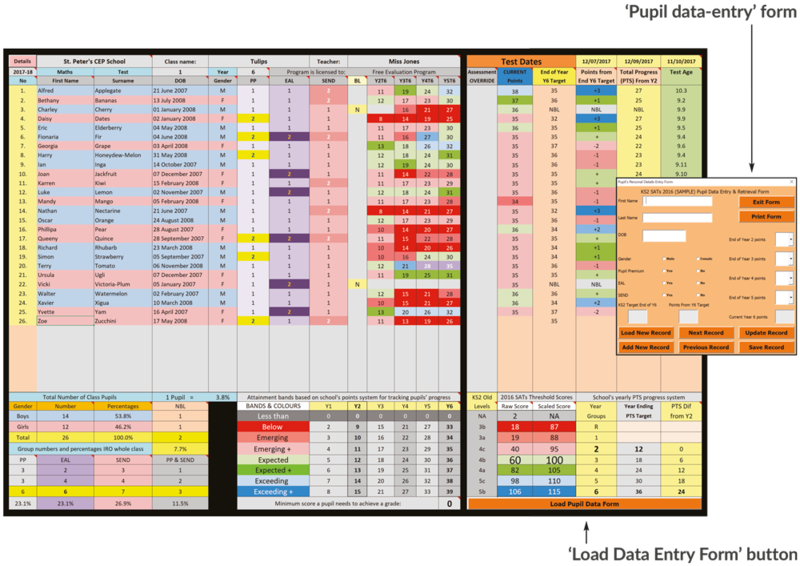 * one-off licence fee for use by either one teacher or one class.